No doubt, these robust and compact junction boxes with Expanded Beam connectors from LWL-Sachsenkabel’s fast.LANE® range go anywhere. 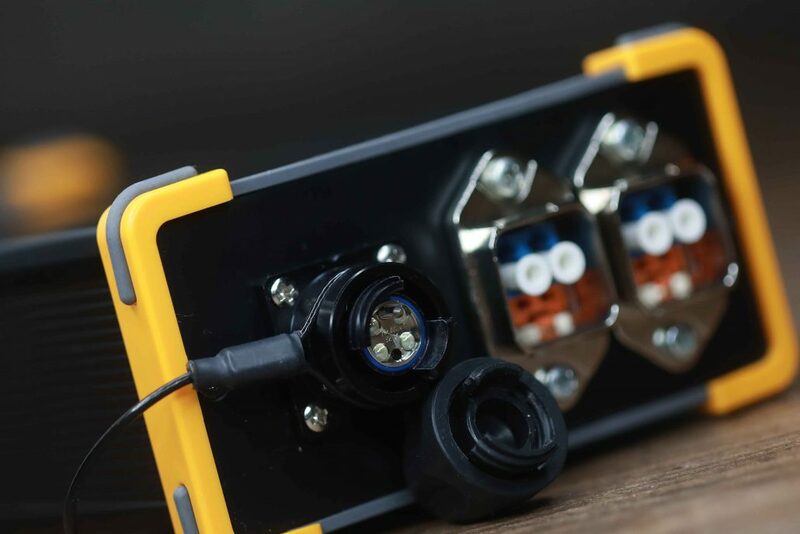 The boxes, available as mobile or 19” rack version, enable easy repatching from Harsh Environment connectors (protection class IP 67) to fiber optic standard connectors and guarantee safe data transmission in rough environments and over long distances. Expanded Beam connectors are available as Eurolens plugging connectors (2-, 4- or. 8-fold) or – for confined space applications – EuMicron connectors (2- or 4-fold). The box is available in different colors as well as in EMC-compatible versions with conductive surfaces and gaskets. The rigging on the crossbeam can be realized with hooks or truss clamps.